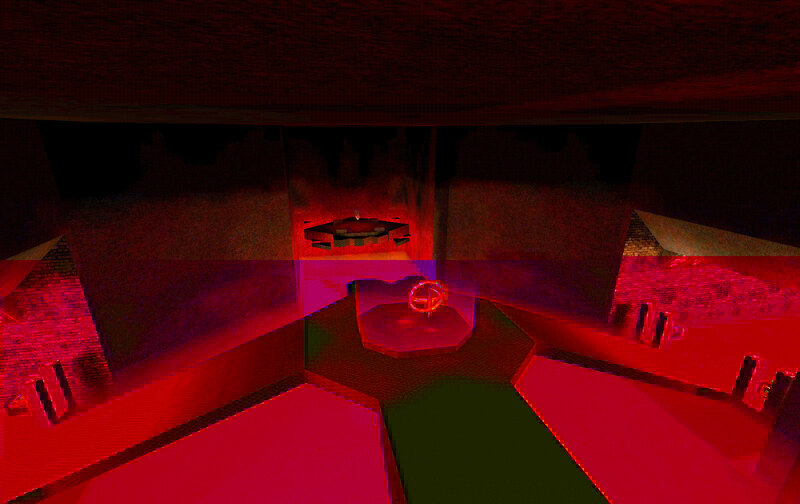 Notes: This is my first Quake 3 Arena map. 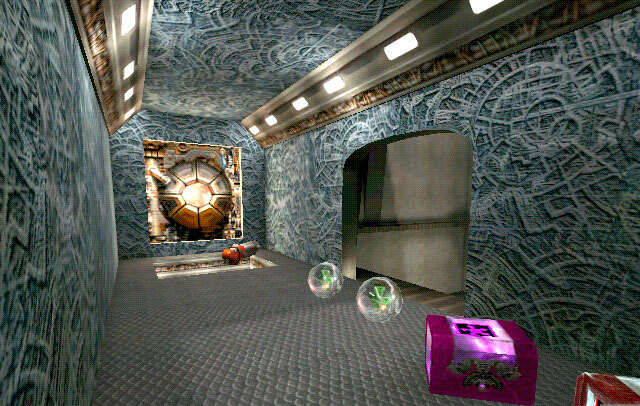 I made a bunch of maps for DooM and Quake 1 and one for Half Life, but this is the first map I really spent a long time on and finished. Click the screenshots to the left for big versions (the first three are huge 1600x1200 images). 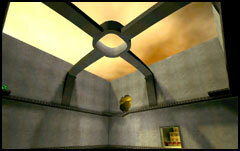 The upper area of the map is a number of passageways around a giant central room. 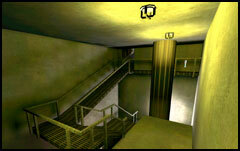 The central room has walkways at different levels surrounding it for attack-from-above or sneak-up-on-campers action. Half of this area has a technology design, the other half an "under construction" look. 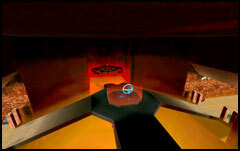 Take two passageways on either side of the map down to the Temple of Evil below the giant room. Here you can find quad and if you can make the jump, the BFG. I was very careful about the placement of weapons and items like health. 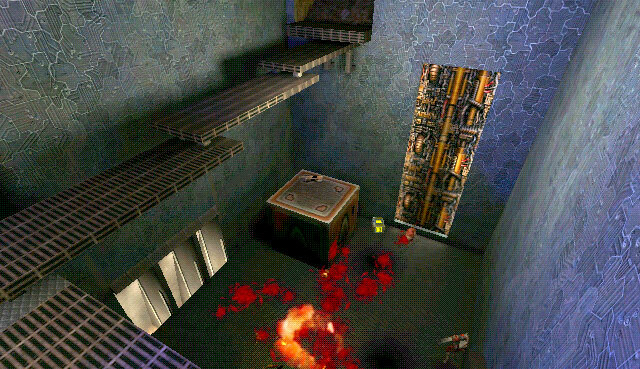 Rocket launchers are available only at the very top passageways, whereas less useful weapons like the grenade launcher and shotgun are much more quickly obtained. You *can* jump to and from the BFG platform. 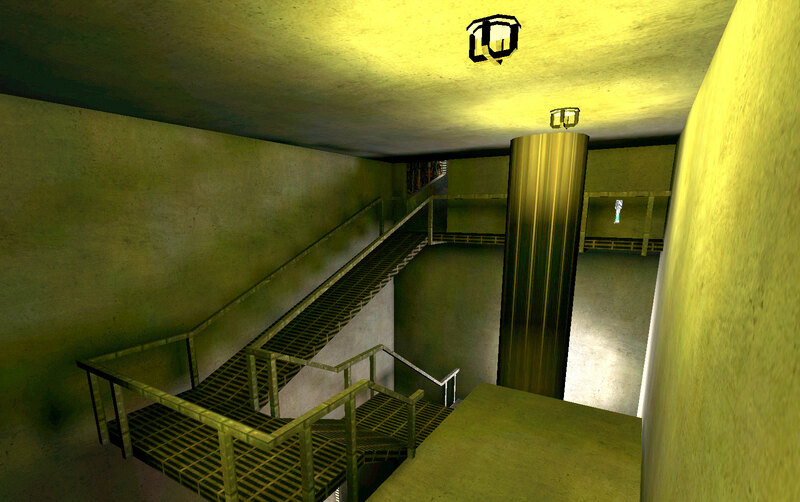 I suggest jumping to the side slightly or just rocket jumping. 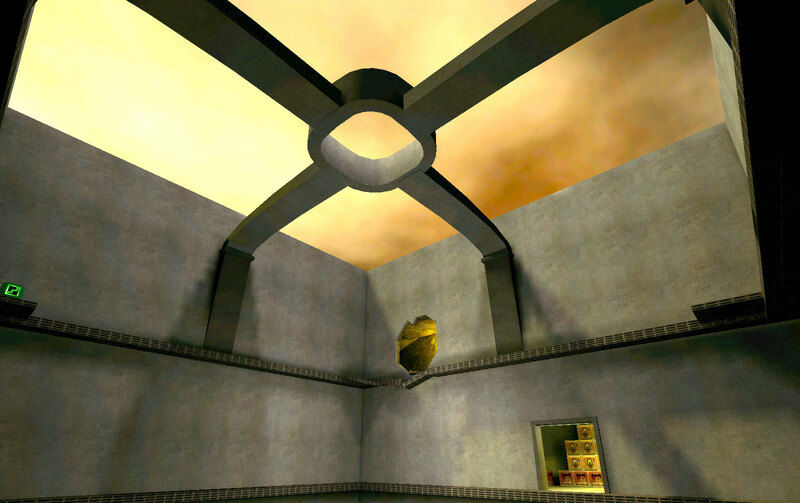 To play this map, download antimony.pk3 and stick it in your c:\quake3\baseq3\ directory and select it from the "skirmish" or "multiplayer create" menu.